← ….. a Very Nice ….. Coffee Machine ….. 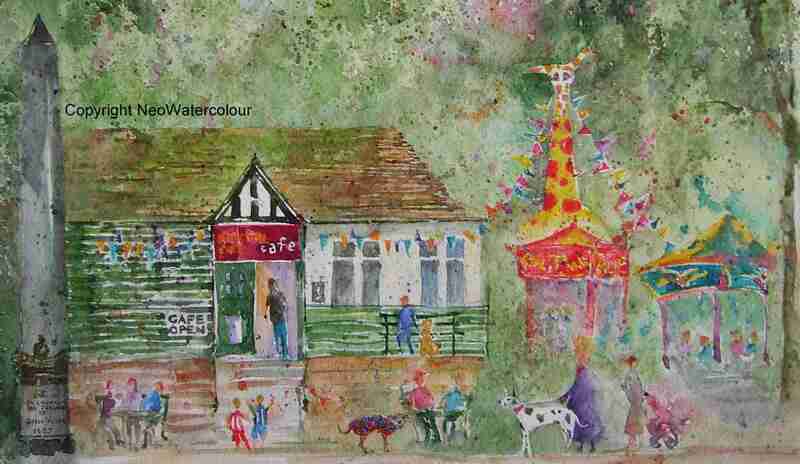 This entry was posted in Art, Cafe, Dogs, Nature, Sheffield, Sheffield - watercolours, UK and tagged Bouncy Castle, Brocco Bank, Cafe, Dog walkers, Endcliffe Park, fun fair, great dane, Hunters Bar, Jubilee, Playground, Queen Victoria, Watercolour. Bookmark the permalink. 9 Responses to ….. In The Park …..
heehee! I enlarged it–thanks for that capability!–but then I realized I could see those eyelashes fluttering without enlarging! your paintings are full of life, of hope, of kindness, of love, of joy, V.
You know me, V, I just calls ’em as I sees ’em. May as well believe me rather than struggle! hee hee!